Rep Kettlebells are designed to be the best value in kettlebells without sacrificing quality. Here's what makes our kettlebells awesome: Smooth Handles - Each kettlebell is hand-inspected before leaving the factory, and again prior to shipment to ensure no rough handles. Marked in both kilograms and pounds for convenience. No need to convert with popular kettlebell training programs. Color-coded bands around each handle make identifying your weight fast and easy. Find your weight quickly in a class environment. 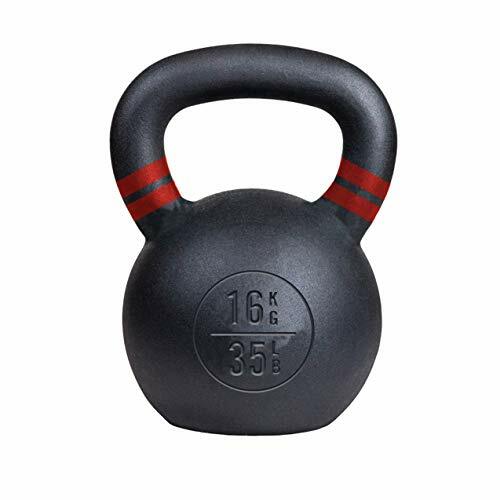 Flat Bottoms - Our kettlebells have a machined flat bottom designed for renegade rows, kettlebell push ups, and other exercises requiring a stable platform. Make sure to check out our kettlebell sets and kettlebell paired sets in some of our most popular weights! We also have kettle bell sets with kettlebell racks! Organize your space - our shelved KB rack can hold other items too like med balls and dumbbells getting your gear off the floor. REP kettlebells are known to be some of the best around, with positive feedback for many years. Featured in gyms all over the world, choose quality AND value backed by our awesome support from Colorado. Fast shipping from a company that understands heavy gear needs heavy duty protection so your kettlebell shows up looking great! BUILD STRENGTH, POWER, AND ENDURANCE: Achieve your fitness goals faster with Rep Ketllebells. Quickly improve metabolic conditioning and increase your overall lean muscle mass. Use them for swings, deadlifts, squats, get-ups, snatches and other Cross Training workouts. 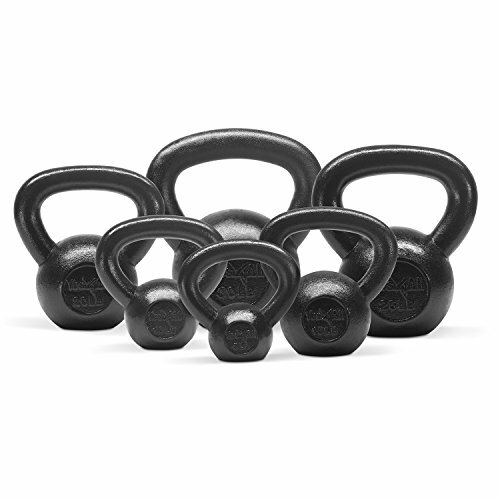 ERGONOMIC AND COMFORTABLE: Our kettlebells feature a lightly textured SmoothGrip matte-black powdercoated handle . The unique coating is designed to provide enough grip for the most grueling workouts without damaging your hands. The matte-textured powdercoat makes chalk unnecessary for most people, and resists chipping better than inferior enamel coatings used by competitors. Chipped enamel will cut into your hands and allow the exposed iron to rust. 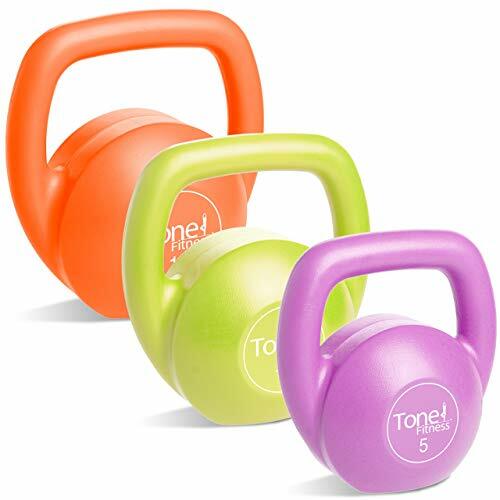 QUALITY FEATURES: Our kettle bells are single-cast for maximum durability, no welded handles here! 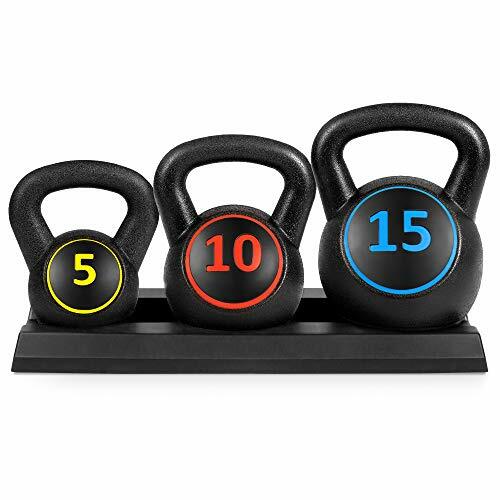 Each weight is color coded with a ring at the base of each handle, and the bottoms of each bell are flat for pushup and renegade row exercises. Easily select your size at a glance, and move between sizes quickly and safely. WHAT'S INCLUDED: (1) 35lb/16kg Kettlebell. We also offer a full lineup of sizes: 2.2lb/1kg, 9lb/4kg, 13lb/6kg, 17lb/8kg, 22lb/10kg, 26lb/12kg, 31lb/14kg, 35lb/16kg, 39lb/18kg, 44lb/20kg, 48lb/22kg, 53lb/24kg, 62lb/28kg, 70lb/32kg, 80lb/36kg, 88lb/40kg, 97lb/44kg, 106lb/48kg and several sets to choose from. BUY WITH CONFIDENCE: Money-back 90 day warranty, and if you're not happy we'll do our best to make it right. Rep Fitness is a full-service equipment company based in Denver, Colorado. We carry a full line of strength and conditioning equipment including benches, barbells, dumbbells, power racks, cardio equipment and more! 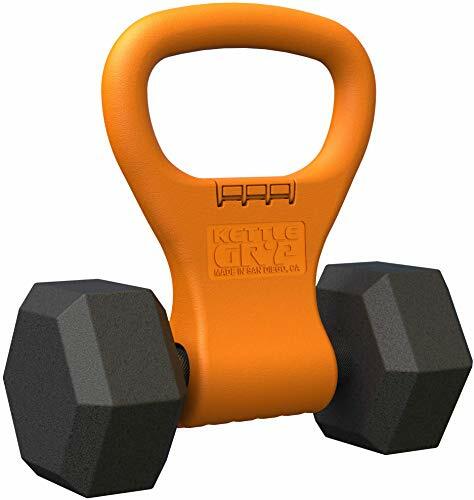 Kettle Gryp - Kettlebell Adjustable Portable Weight Grip Travel Workout Equipment Gear for Gym Bag, Crossfit WOD, Weightlifting, Bodybuilding, Lose Weight | Clamps to Dumbells | Made in U.S.A.
Kettlebells provide simple, unique exercises that build functional strength and range of motion. However, kettlebells are expensive and nearly impossible to travel with. With Kettle Gryp you'll get your full workout at a range of weights anywhere you can find a dumbbell. Kettle Gryp is a great addition to your home gym or travel bag. If you're a trainer or gym owner, Kettle Gryp expands your clients' workouts without the added weight, cost, and footprint of kettlebells. Kettle Gryp is a portable dumbbell adapter that turns ordinary dumbbells into dynamic workouts. 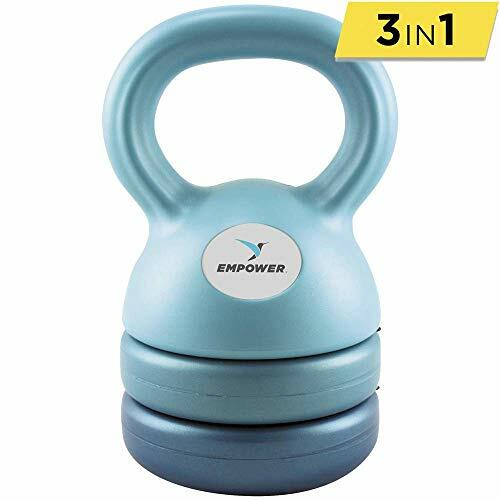 Perfect for the home gym, traveling fitness enthusiast, or trainer/gym owner with limited space; Kettle Gryp gives you a full kettlebell workout at a range of weights anywhere you can find a dumbbell. IMAGINE NEVER HAVING TO MISS YOUR KETTLEBELL WORKOUT WHILE TRAVELING | KettleGryp is the perfect workout accessory for your travel needs, or to keep in your everyday gym bag. At less than 1 pound, this grip can hold most standard dumbbells up to 55# and instantly turn it into a kettlebell. BUY NOW TO HAVE ONE OF THE MOST IMPORTANT ACCESSORIES IN YOUR WORKOUT BAG | Workout Gloves, Check. Lifting Straps, Check. Protein Shake, Check. KETTLEGRYP!? Yes! This workout accessory will quickly become one of the go-to pieces of gear in your gym bag. ADD TO YOUR CART NOW TO HAVE THE NEWEST AND MOST INNOVATIVE PRODUCT IN KETTLEBELL TRAINING | KettleGryp is a Veteran American-Owned Company that proudly Manufactured in San Diego, California. CHECK OUT WITH CONFIDENCE | WE OFFER A LIFETIME WARRANTY! We LOVE our customers here at KetteGryp and you can buy with confidence with our Lifetime warranty. If you're not happy we will do whatever it takes to make sure you love your new KettleGryp or send it back with no questions asked. ACHIEVE YOUR FITNESS GOALS | For men or women who want achieve their fitness goals working out at home, in the gym, or when traveling. Kettle Gryp is light-weight, durable, and economical solution. 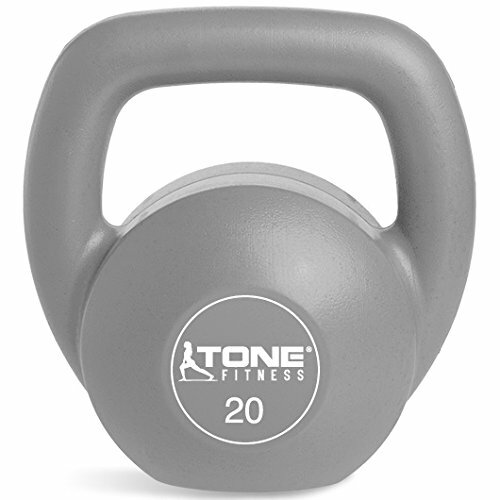 The Tone Fitness kettle bell has been redesigned for a sleeker profile and more comfortable grip. The handle has a smoother surface to allow working out without irritation to your hands. Working out with kettle bells sculpts and tones the entire body because lifting and controlling a kettle bell forces the entire body and specifically the core, to contract as a group. Kettle bell workouts engage multiple muscle groups at once, making kettle bells a great option for getting a whole body workout in a short time. 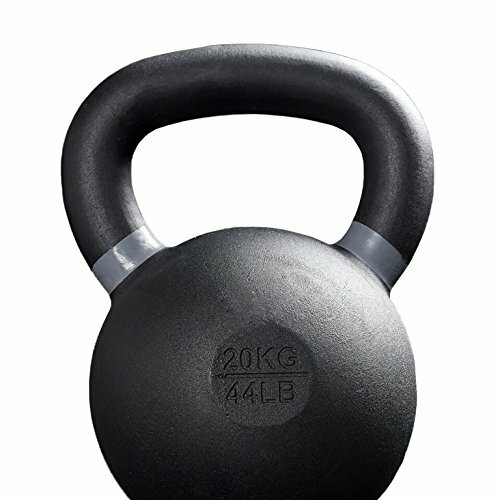 These kettle bells are cement filled providing a more economical choice over the traditional cast iron made kettle bells. Warning: This product contains one or more phthalate chemicals known to the state of California to cause birth defects and other reproductive harm. 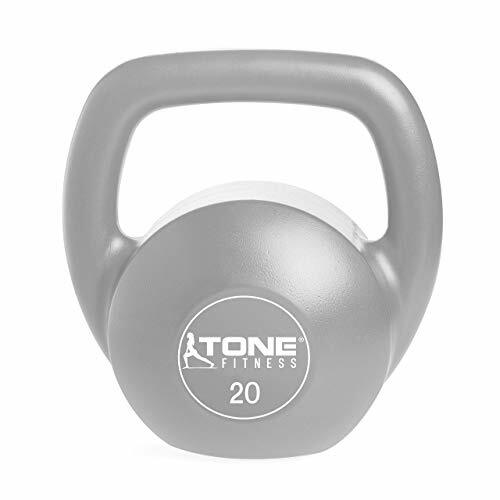 Brand: Tone Fitness | Manufacturer: Cap Barbell, Inc.
Sold in a set. Select your most suitable set. Great option for getting a whole body workout in a short time. Ever last Cast Iron Kettlebells will help you build strength and power. Kettlebell workouts burn fat, sculpt and tone muscles, and build cardio endurance. Improve your balance and agility while stabilizing your core muscles, kettlebell training provides and great functional training workout.